Celebrating the first official day of the Christmas Holidays today with a cracking temperature of minus 10 Celsius - eek! Anyways, this super simple (and flat for cheaper postage *wink*) design was made in a couple more colour combos too. My photos can't really capture the pretty shine from those embossed stars on the trees but they look pretty IRL! Y'know I really am not a fan of mass production - but by changing a colour combo it certainly makes it more fun making cards for Christmas. I'm glad to say that all my cards have now been made and should hopefully be making their journeys to their new homes....fingers crossed! Thank you so much for stopping by and visiting during this super busy festive season! Those are so cute and I too just love that tree! Love all the color combos! I don't envy you the cold weather. We will get into the 70's today before getting colder on Christmas Day. Totally adorable. Love that little tree all decorated up :) Hear Heathrow is shut down for the most part...stay warm and safe! Oh Wow! I think you just made me a Waltzing Mouse fan too!! 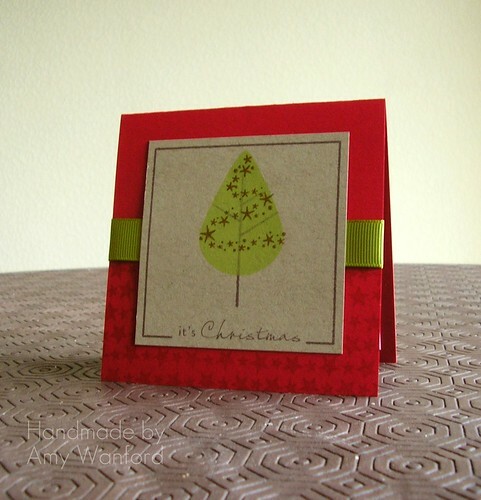 :) Your little tree cards are fab! So cute! I love the little stars on the tree! So, so pretty, Aimes! Love those sparkly bits on the trees and such a fab layout! These are awesome! Love the metallic-y first one especially. 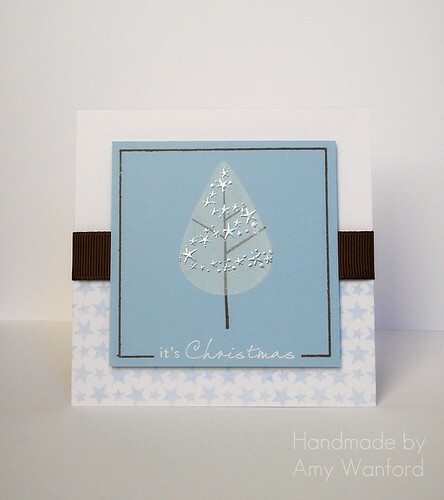 And, ahem, I just saw another FABULOUS Amy Wanford creation in CARDS magazine! Congratulations, my dear! You're on a roll!!!!! Hope the snow is manageable up there! I just love, love, love the smbossed stars!! stunning Aimes, love the cards! That is cold! Cute cards! Love the silver embossing on the first one. Hope it warms up soon! Love these cards, I have this set and now you've inspired me to make time! So great!!! Ohh...I'm in love with those...love that tree...can't decide which one is my favorite! Minus 10 celius? I can't imagine!! Fab design Aimes! Several of the peeps have been using this cute little tree, I love your addition of the sparkly stars. Stay warm and have a wonderful holiday! Oh so pretty! Love each card and the little changes you made to them. Keep warm and enjoy the Christmas season. Gorgeous cards, Aimes! I love the colors and the teeny trees. So glad you are a fan of WMS too. They have such wonderful stamps. And I can't believe how cold it is there! I am freezing here and it's only in the 50s. Stay warm! Love your design! The stars along the bottom look great with that little tree. I just got that set and absolutely love it. I don't envy the weather you are having. We are having a few days in the 50s but are expecting cold and moisture by Christmas Eve. Have a wonderful holiday and happy new year. Try to stay warm. HUGS! Oh these are just fabulous! 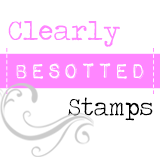 Love all the fun color combos and the stamped star bg! Fab fab fab! OK, now I am officially a fan too! I'm absolutely going to have to order that set!!! These cards are utterly fabulous!!! *drool* The teeny tree and you certainly agree with one another, to say the least!!! OH MY!!! Everyone of these is fantastic! This is a favorite set of mine for sure! You did a great job with it girl!! Love your cards! Hope you have a very Merry Christmas and get to share time with the ones you love. 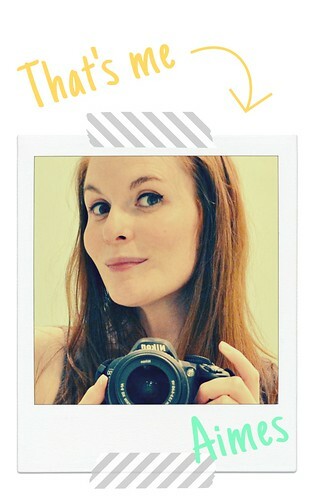 I am loving your cards, Amy!! Have always been! I'm aiming at those WZM stamps but they are way too expensive for me. Merry Christmas to you! I love these all!! They are gorgeous! I think my favorite is the blue one but they are all fantastic!! Love, love!